New research reveals that the extinction of dinosaurs might have something to do with the significant amount of time their eggs took to hatch. Apparently, dinosaur eggs took about three to six months to hatch, which is the double of time birds eggs take to do so. Before, it was thought that dinosaurs disappeared due to the catastrophic event that also wipe out more than 75 percent of life on Earth, about 66 million years ago. But maybe with this new research, we can explain why dinosaur didn’t make it to our days as birds or mammals did, and it might have something to do with their very nature. “We suspect our findings have implications for understanding why dinosaurs went extinct at the end of the Cretaceous period, whereas amphibians, birds, mammals, and other reptiles made it through and prospered,” said biologist Gregory Erickson from Florida State University. 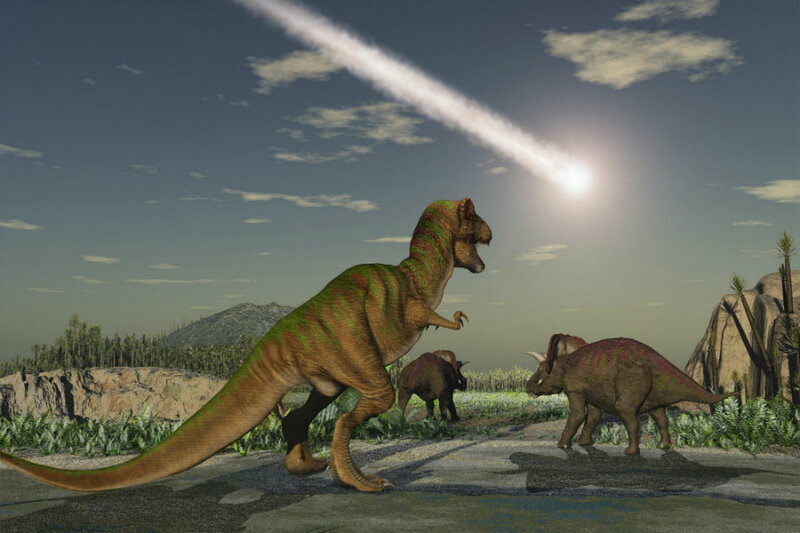 It is believed that 66 million years ago, a massive asteroid smashed near to the Yucatan Peninsula of Mexico. While this was happening, in India, at a place called Deccan Tramps, there was an extended period of volcanic eruptions that lasted about tens of thousands of years. Scientists have considered these events to be what caused the extinction of non-avian dinosaurs along with 75 percent of life on the globe. However, a new and less dramatic factor has been analyzed by researchers. Researchers have examined rare fossils of dinosaurs’ embryos, and they discovered that the incubation period of non-avian dinosaurs was so much longer that they have thought. Apparently, the largest creatures to ever walk on earth needed about 3 to 6 months of incubation. This means that they were at an evolutionary disadvantage compared to other animals that could develop quicker. Certainly the time it takes for species to develop has an impact on how they live. It defines the mating season, migratory behavior, and other characteristics. It was believed that some species of dinosaurs made long migrations back and forth from the Arctic, but the discovery about their longs periods of incubation would not have permitted these migrations. Scientists say that, compared to reptiles, birds lay few but larger eggs. However, birds’ eggs develop about twice as fast as reptile eggs. This could explain why birds didn’t become extinct. It is estimated that a bird egg would take from 40 to 82 days to hatch, while dinosaur eggs would have needed between 83 to 171 days of incubation, which is more close to the time required for a reptile egg to hatch. Scientists believe that dinosaurs still exist in the form of avian dinosaurs, but say that the avian-dinosaur eggs could take the same time to hatch as birds eggs do. After all, they should have a similar structure. The study was made by scientists from the Florida State University, the University of Calgary, and the American Museum of Natural History. It was published on January 2, in the Journal Proceedings of the National Academy of Sciences and it definitely changes a lot of what humans know about dinosaurs. They realized that dinosaur eggs took twice as long as bird eggs to develop by studying the growth of embryonic teeth in two dinosaur species: Hypacrosaurus stebingeri, a sort of “duck-billed” dinosaur, and Protoceratops andrewsi, a less-famous relative of the Triceratops. They used a measure that can tell the embryonic tooth development in both human and crocodilian species, therefore, there is no reason to think it could not determine the embryonic development of dinosaurs. They scanned the embryonic jaws with computed tomography to see the forming dentitions analyzing the pattern of “von Ebner” lines. 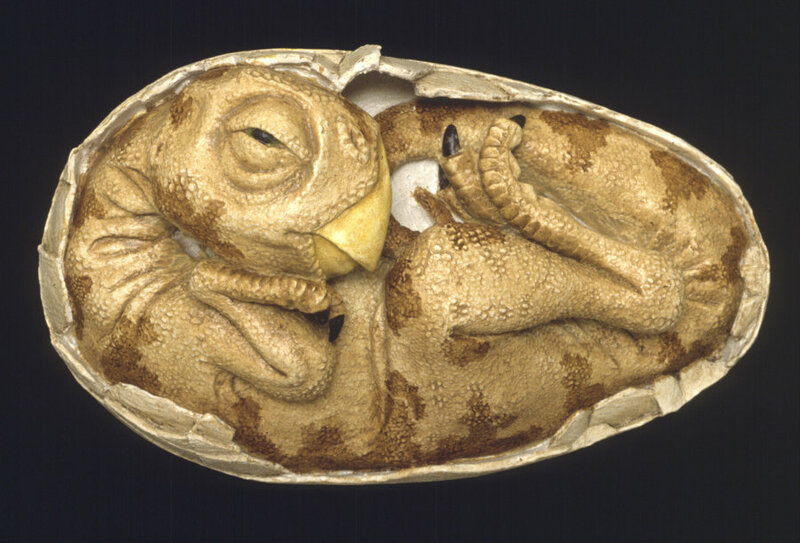 According to their calculations, the Protoceratops egg needed twice as long to hatch than a comparable bird egg, and it would develop a little bit quicker than a reptile. On the other hand, the Hypacrosaurus egg needed even more time of incubation than the Protoceratops egg and a little bit more than a reptile. Though they only evaluated the development of embryonic teeth in two dinosaur species, the scientists believe that pattern is likely to be found in all toothed dinosaur. However, more research needs to be carried out in the future. As well, they believe that another factor that might have something to do with dinosaurs’ extinction is that they expended more energy and needed more resources than other species such as reptiles of amphibians. Therefore, when the availability of resources in the world was reduced due to the changed climate after the impact of the asteroid and the intense volcanic activity, it was actually hard for any large species to survive.